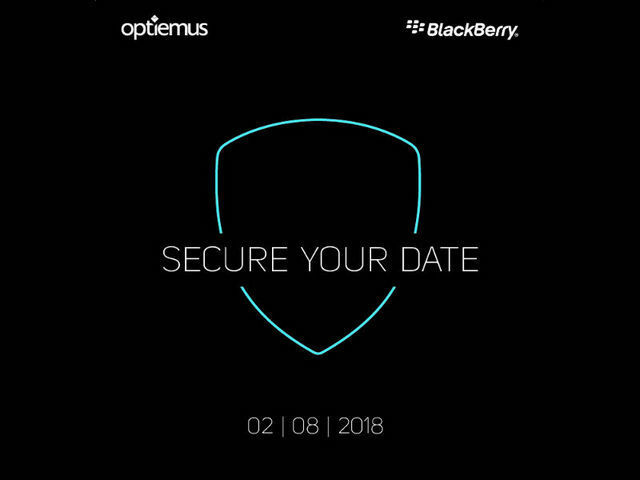 Having launched the BlackBerry Key2 in India earlier this year, Optiemus Infracom Limited — the company that owns the rights to market BlackBerry-branded smartphones in the country — is all set to introduce a new BlackBerry device in the country. The company has started sending media invites for a launch event on August 2nd, and although there’s no official word on what exactly will be in store for the attendees on that day, media speculations suggest that the Evolve and the Evolve X smartphones might be launched at the event. In case you’re unaware, the Evolve and the Evolve X are believed to be the official names of the two upcoming BlackBerry smartphones that were reportedly code-named Ghost and Ghost Pro during their development phase. Neither BlackBerry, nor Optiemus has revealed anything on this front, but Evan Blass (aka @evleaks) revealed the info via Twitter. It’s worth noting here that unlike most new smartphones whose specs are often leaked far ahead of their official launch, Optiemus has been able to keep the spec-sheets of the two upcoming devices under wraps for the most part. However, unconfirmed reports seem to suggest that the devices will ditch BlackBerry’s iconic physical QWERTY keypad. Reports further suggest that they duo may be the first BlackBerry smartphones in history to ship with the modern, 18:9 aspect ratio, and might be powered by the Snapdragon 660 SoC (Evolve) or the Snapdragon 710 (Evolve X). The Evolve is also expected to ship with at least 4GB of RAM, with the Evolve X said to offer 6GB. Both are said to carry a 4,000mAh battery that should offer pretty decent screen-on time even for power users. Either way, the Evolve and the Evolve X sound like smartphones that will be perfect for people who’d like to own BlackBerry-branded devices, but don’t fancy the physical keyboards anymore. So, are you interested in buying such a device? Do let us know in the comment section below.